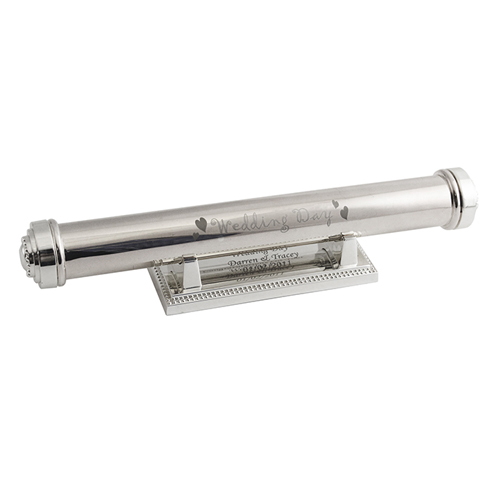 This silver finish certificate holder features a cute heart motif design. Personalised the stand with any message over 4 lines and up to 25 characters per line. 'Wedding Day' featured on the holder will be fixed text on this item. The certificate is nickel plated. Personalise with any message over 4 lines and up to 25 characters per line.